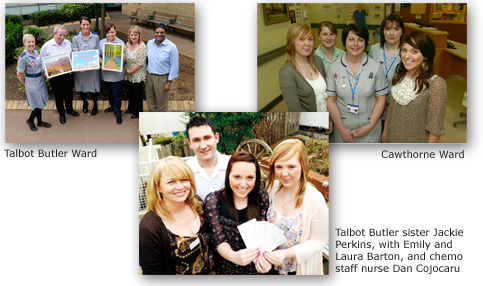 At the beginning of May, Samantha Tank presented a £2000 cheque to Talbot Butler Ward on behalf of the Trust. Samantha held an Elvis Tribute night in support of The GB Trust and chose to donate the funds specifically to Talbot Butler ward due to recent personal experiences. The donation will be used to purchase a new Observation Monitor (as pictured) and new fans for the Ward. Great work by our supporters and a big thank you to Samantha.